Dense smoke engulfed the coaches of the metro after the fire broke out in an electrical unit of the moving train during the evening rush hour Thursday, causing a stampede-like situation. Several metro passengers had alleged that they did not receive any help from the authorities. Dense smoke engulfed the coaches of the metro after the fire broke out in an electrical unit of the moving train during the evening rush hour Thursday, causing a stampede-like situation. Several passengers had alleged that they did not receive any help from the authorities, even after calling the helpline repeatedly. "I have told Director General, Fire Services, to take action as per law. If needed, we will also file an FIR (against Metro Railway)," West Bengal Fire Services Minister Sujit Bose said. The minister has also asked the state fire services chief to issue a notice to the metro authorities to inspect its passenger safety systems. "We will issue a notice to the Kolkata Metro to look into its fire safety and passenger safety systems. If something is found to be amiss, then necessary action will be taken in this regard," West Bengal Fire Services Director General Jagmohan told PTI. "No one can deny the fact that there was negligence on part of the Kolkata Metro. It needs to be looked into," Bose said. The Fire Services Department and Kolkata Police Friday held a meeting to discuss the incident and it was decided that steps have to be taken for better coordination between the two in case of emergency situations, Jagmohan said. Meanwhile, senior Trinamool Congress MP and Railway Standing Committee Chairman Sudip Bandyopadhyay said he has spoken to the General Manager, Metro Railway over the issue and had asked him to submit a report within December 31. "I asked the metro GM if the fire was due to human error or technical fault, and he replied that prima facie it appeared to be a technical glitch," Mr Bandyopadhyay told reporters on the sidelines of an event. 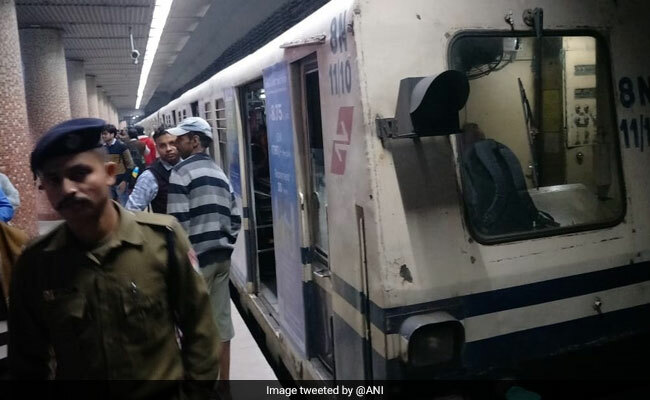 The Metro Railway, on its part, has ordered a high-level inquiry into the incident to ascertain the reason and source of the fire, its chief public relations officer Indrani Banerjee had said Thursday. It has asked the inquiry committee to submit a detailed report within 10 days, a metro official said. The youth Congress Friday staged a protest rally outside the Metro Railway office in protest against the incident.